I quess it’s really interesting mechaincs (with doubl-barrel and granade) and up’s after challenges (still hope to see Slayer suit after some of them as achievement). But with pistol i was sad that now no charge. Maybe possible to create a little charge with red shots (now after click, if you still hold button – red shot)? I think it’s good idea cuz it’s not slow down gameplay but give more variativity for this weapon. 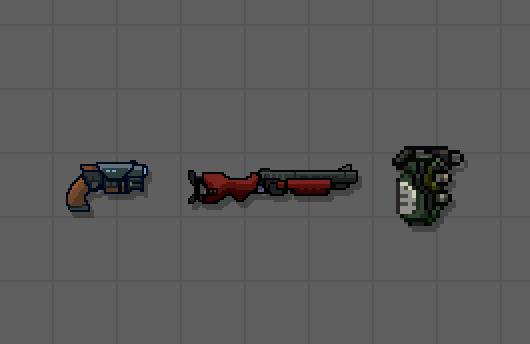 BTW – there will be vampire grenades? I think a little help in high lvl can’t spoil game cuz there is many enemys with danger attacks that hard to avoid plus with BIG dm (if soulcube is making damage and generate ammo to be at rush – why not make very less damagable granade that help you survive?). I still don’t know about the charge… You know how in the later classic megaman games (9 and 10) they removed the megabuster? I think it was because of this issue… Of course the pistol here is much less used so it might not be such a big deal. Perhaps it would be best to add a small charge to be faithful to the original design. About vampire grenades: I might add a healing function to the soul cube, but it would be a temporary upgrade. Otherwise it would change the game balance too much. I’m thinking adding this for healing only during the final boss fight. iI think at last missions heal granades can’t broke balance cuz s*** will be serious. And this type of weapon are nice so… maybe u can add them (or at planned DLC)? Plus…. hm… soulcube healing…. at final boss… CYBERDEMON! ?